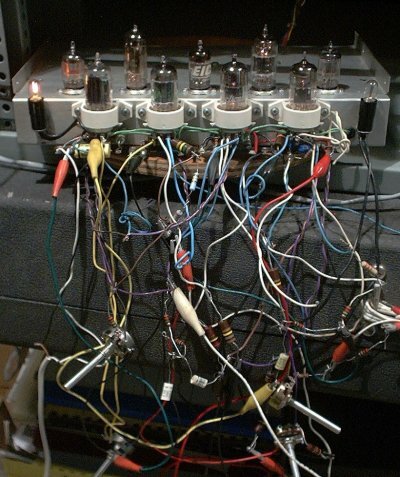 Lately The Peasant has been building a music synthesizer using vacuum tubes. Although this will be used as a percussion synthesizer, it could just as easily be controlled by a keyboard or a MIDI to CV convertor. The first module built is a dual VCO. It is based on the VCO circuit from Eric Barbour's Phattytron, and has its own power supplies built right on the chassis. The next step was to build a power supply for the rest of the synthesizer. 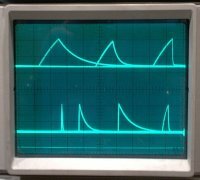 Sound files of the tube synth. 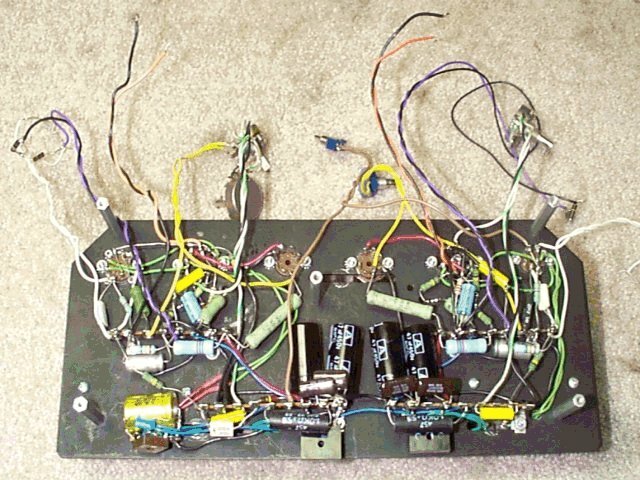 Using drum sticks with The Peasant's ribbon controller, a basic tube VCA as per Eric Barbour, and a simple diode/capacitor envelope generator, the following sounds were created. Ahhhh, the rich, full sound of tubes! Here is the schematic of the envelope generator for the tube synth. It consists of a dc input amplifier, Metasonix 2D21 AD generator (Thanks, Eric! ), and an ADSR circuit currently under development by The Peasant. Here is a picture of the prototype under development. Zap, ouch, BOOM!! +/-150 Volts, anyone? And some scope shots of the attack/decay section of the ADSR in action. The next module built is a VCA/mixer/output module. 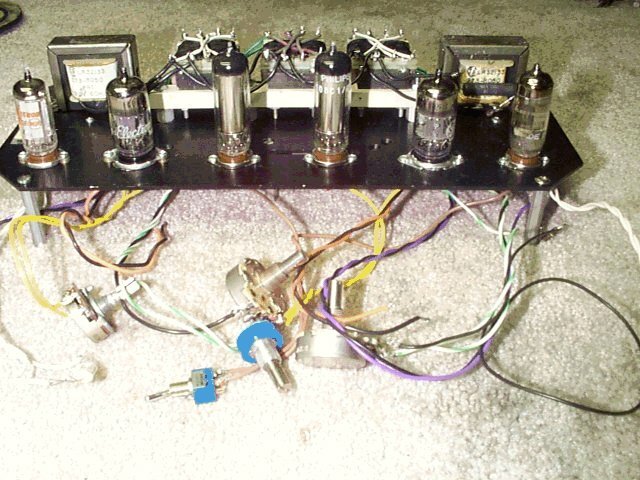 This consists of 3 separate VCAs, one of which is a modified Eric Barbour design using an EF86 tube, and the other two are of the improved balanced design by Rene Schmitz. There is also a basic 3 channel mixer module, which includes an EF86 VCA and the final output driver for the tubesynth.